When it comes to grocery shopping – my husband and I try and buy as much organic as we can. Fruit. Veggies. Meat. Milk. All organic. It can get a bit pricey, but we shop around and do what we can to save money when we can. Here’s the thing – when you’re thinking about organic foods – you might be like me – just thinking about milk, eggs, and strawberries. Turns out, many of us are forgetting something. 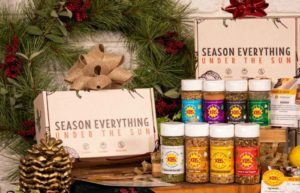 When I met the folks from Kissed by the Sun Spices- it was my ah-ha moment. Like – I pay the extra money for the organic steak but put spices on it that aren’t? Wait. What? When I learned more about this local company it was even more of a no-brainer. We’ve had Kissed by the Sun Spices at quite a few of our festivals and they are always a hit. Truthfully, if you’re from the greater Buffalo area you may recognize these spices…you haven’t seen them in the typical places like your grocery store shelves or at your local seasoning shop though. 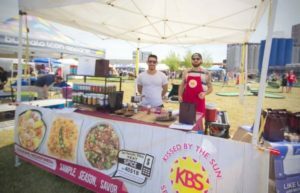 If the colorful labels and neon sun logo look familiar it’s likely you’ve seen them at one of the dozens of local fairs and festivals the company attends year round. From local farmers markets to Buffalo staples like the Broadway Market this Amherst based company has amassed quite the local following of hungry customers, largely in part to guerrilla marketing at over 80+ events they attend throughout the year. “We’ve made a point to go to the customer, instead of waiting for them to come to us” says owner Rick Fickhesen Sr. – half of the husband and wife duo that makes up Kissed by the Sun Spices. “It was a pretty long road” he adds “But when you see customers week to week with nothing but positive feedback you know you’re onto something and that it will just continue to grow”. When you scroll through the 100+ 5 star reviews on their Facebook page and website it makes sense why they’d get excited. “It did not happen overnight” he adds and it has been a long road indeed for the couple who began selling at small school shows over 20 years ago. The origins of the business started when co-owner and master blender Liz Fickhesen came across a local fish head stew recipe while living in the Caribbean, inspiring their first and still best selling Seasoned Sea Salt – a blend of ginger root, celery, garlic, parsley, and kosher sea salt. 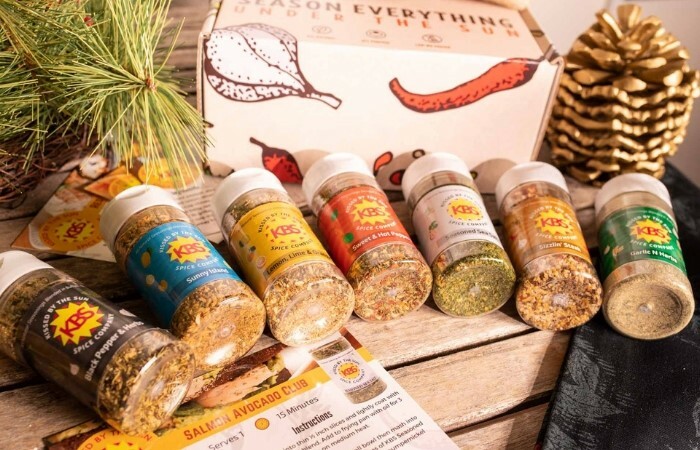 They now have a product line of 8 Signature Seasonings including traditional blends like their Sizzlin’ Steak, made with sea salt, garlic, whole peppercorns, caraway seeds, and crushed red pepper, or more unique finds like their Sunny Island Seasoning which starts off with a spicy kick then finishing with notes of citrus. All of their blends are organic and all-purpose making them extremely easy to use and they also focus on low-no sodium blends with over half of their seasoning mixes containing no salt what-so-ever. 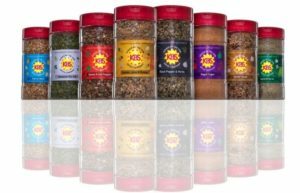 The company is now paced for their best year yet with over 5,000 lbs of herbs blended and 30,000 bottles sold just this year, in large part to their continued efforts at local WNY events as well as through their recently launched eCommerce website www.kissedbythesunspiceco.com. 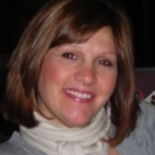 Liz, a mom of 5, says she’ll stay busy with the kids but plans on continuing growing the business online and throughout WNY. “We really want to become a staple in our hometown of Buffalo before we move on to bigger markets, but we’re pretty close and excited for what will come next!”. Follow them on INSTAGRAM. and FACEBOOK. You can also check out Kissed by the Sun at the Totally Buffalo 716MAS Festival on December 1st and 2nd at Buffalo Riverworks.